"The specimens are exciting not only because they are associated with early stone tools, but also because they possess a mixture of intriguing features that raise many more questions than they give answers," says lead researcher Dr Dominic Stratford, a lecturer at the Wits School of Geography, Archaeology and Environmental studies, and research coordinator at the Sterkfontein Caves. "It is almost complete and shows a really interesting mix of modern and archaic features. For example, the specimen is markedly curved - more curved than Homo naledi and is similarly curved to the much older species Australopithecus afarensis," says Stratford. "The finger is similar in shape to the partial specimen from Olduvai Gorge that has been called Homo habilis, but is much larger. Overall, this specimen is unique in the South African plio-pleistocene fossil hominin record and deserves more studies," says Stratford. 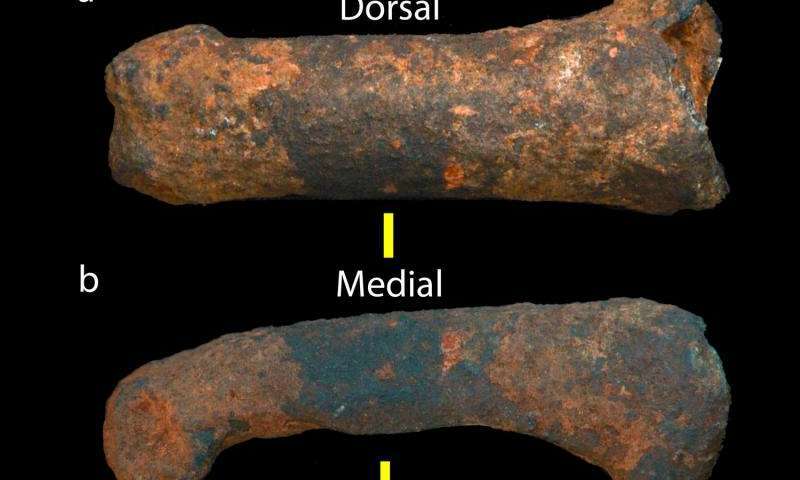 "In size and shape it also bears a resemblance to two of the 10 1st molars of the H. naledi specimens, although further and more detailed comparisons are needed to verify this." "The two other hominin fossils found are still being studied and further excavations are planned to hopefully find more pieces and expand our understanding of who these intriguing bones belonged to and how they lived and died on the Sterkfontein hill more than two million years ago," says Stratford. 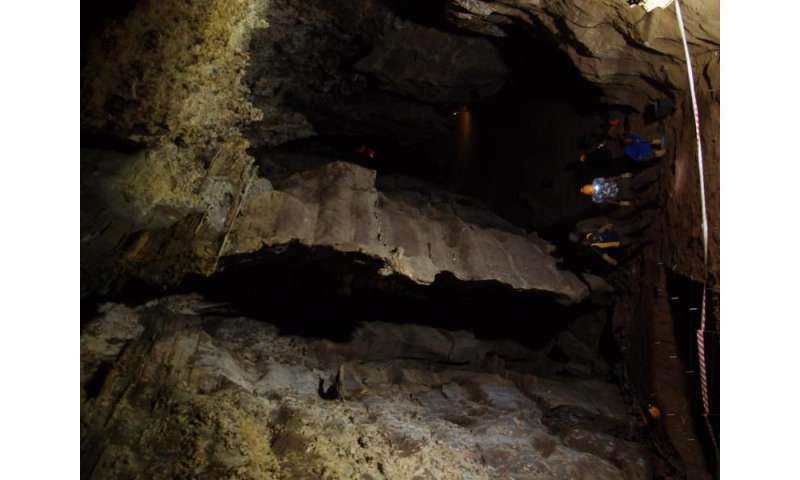 The Sterkfontein Caves have been one of the most prolific palaeoanthropological sites in the world, since the discovery of the first ever adult Australopithecus by Robert Broom, 80 years ago this year. Since this incredible discovery, some of palaeoanthropology's most famous finds have come from the Sterkfontein Caves, including Ms. Ples and Little Foot. 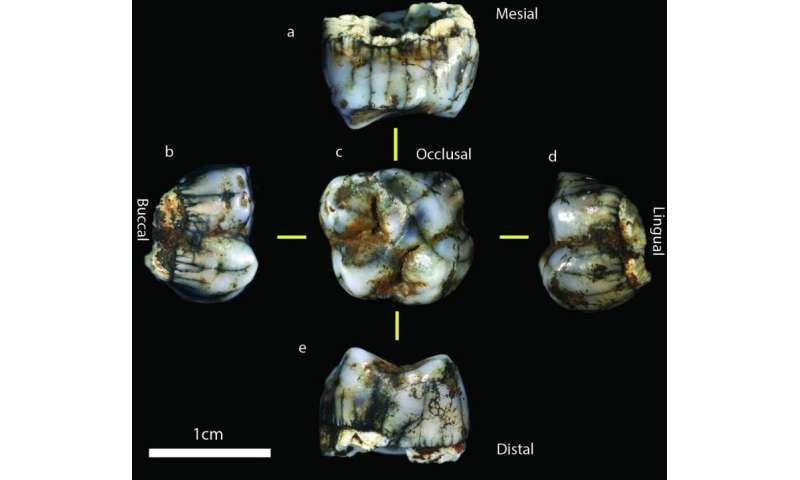 The excavations that yielded these new hominin fossils were being conducted as part of a new phase of exploratory excavations away from the known hominin-bearing areas. Excavations in the Jacovec Cavern, Name Chamber and Milner Hall have been started under Dr Stratford's direction. Each has yielded exciting new fossils that shed further light on the story of our evolution and life on the Sterkfontein hill more than two million years ago.